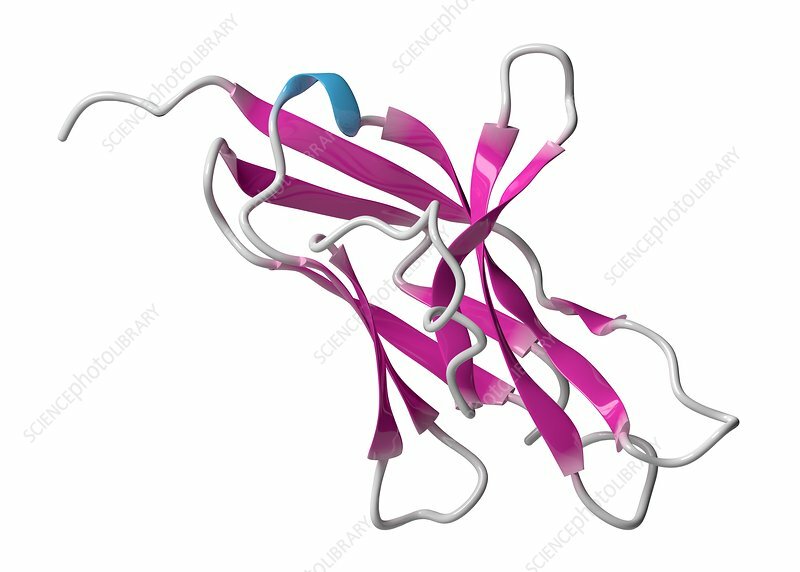 Programmed cell death 1 (PD-1, CD279) receptor protein. PD-1 is a major cancer drug target. Cartoon model, secondary structure colouring (helices blue, sheets pink).